San Sebastian boasts a heady cocktail of elegant belle epoque architecture, beautiful beaches in the city, the star studded international film festival and of course, all those Michelin-stars and amazing bars and restaurants in the old quarter serving the world-famous Basque cuisine –in miniature pintxo form and in regular too. Make sure to take in some of the amazing city walks. Walk up to the castle at the top of Monte Urgull which is a half-hour walk through woodland and there’s an English cemetery to explore halfway up. And walk or take a ride up Monte Igueldo, at the other end of the bay, on the old funicular railway. The views of the city and its curving waterline are breathtakingly beautiful day or night. You’ll run out of adjectives – we promise you! Drums are a central part of San Sebastian’s identity. 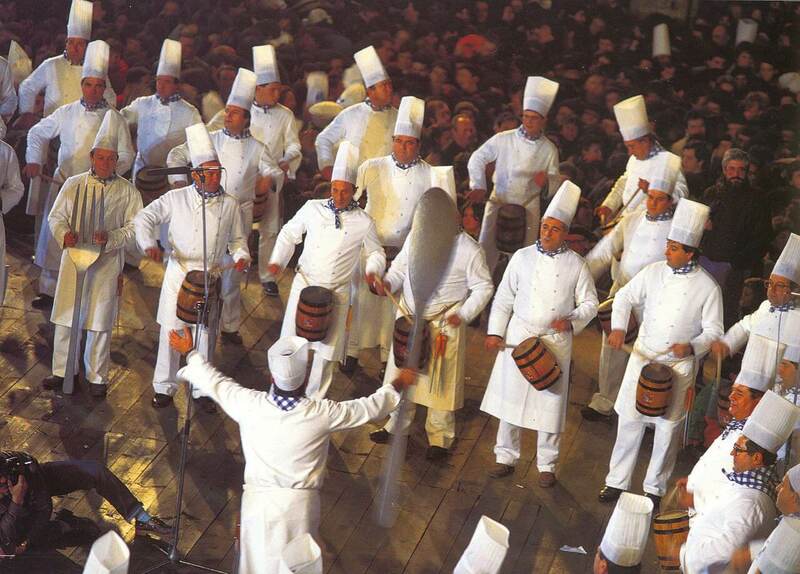 The tamborrada or drumming that traditionally marks the Day of San Sebastian on January 20th is always a huge event drawing massive crowds. 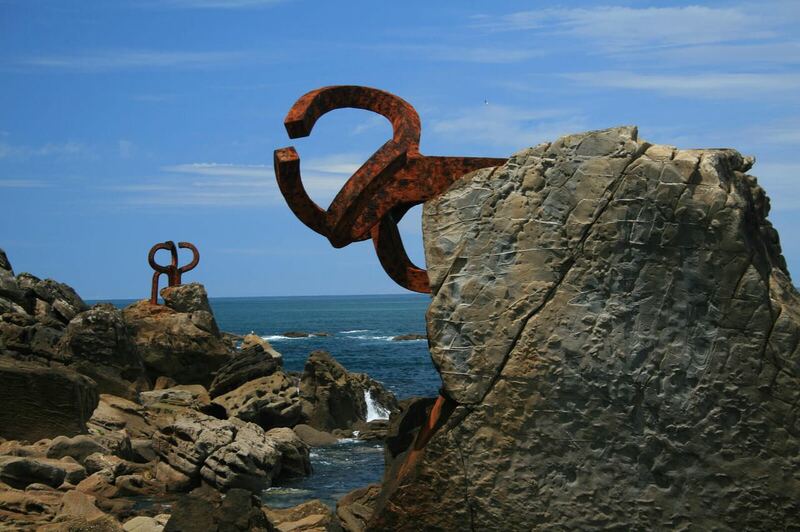 Situated at the base of the Igueldo mountain, the Windcomb by Eduardo Chillida is the icon of the city and is visited daily by locals and tourists contemplating the sound and the power of the sea. This is Spain’s most famous city for tapas and there is no shortage of places to go. By all means visit the pintxos bars that are listed in the guide books and order what you see the others eating around you. But make sure you only go into the bars if they are busy. If they are empty, chances are you haven’t worked out the Spanish timetable. If you feel like you aren’t in the right place (and you have paid attention to the Spanish timetables) ask about the places doing the Pinchopote deals which is the equivalent of San Sebastian’s happy hour. As you’d expect, it involves pintxos. Deals range from as little as 1.50 to 3 EUR for a tapa plus drink. And while we are talking about ‘potes’ you should also check out music and food event called Gastropote which is located in the San Martin marketplace. Don’t forget to make use of your hotel concierge who can tailor recommendations to your group size and location. Wherever you fetch up, bear in mind that many of the pintxo bars are small places where standing is the norm. Travelling alone? 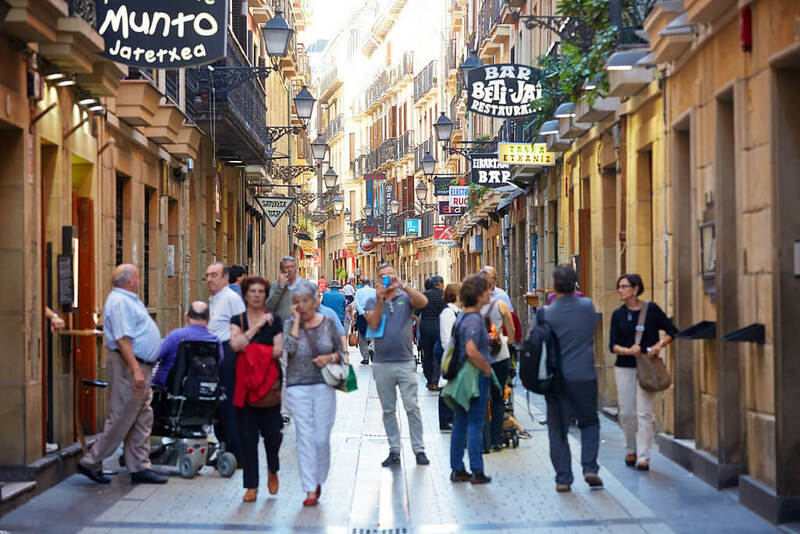 Unless you can rustle up a local to take you around, we do recommend joining a food tour of some sort – whether that’s a cooking class, a walking tapas tour or some other event. It’s the best way to engage with people who work in this industry and see it from the inside. It’s worth setting this up for your first day so you can benefit from all the know-how while you are there. 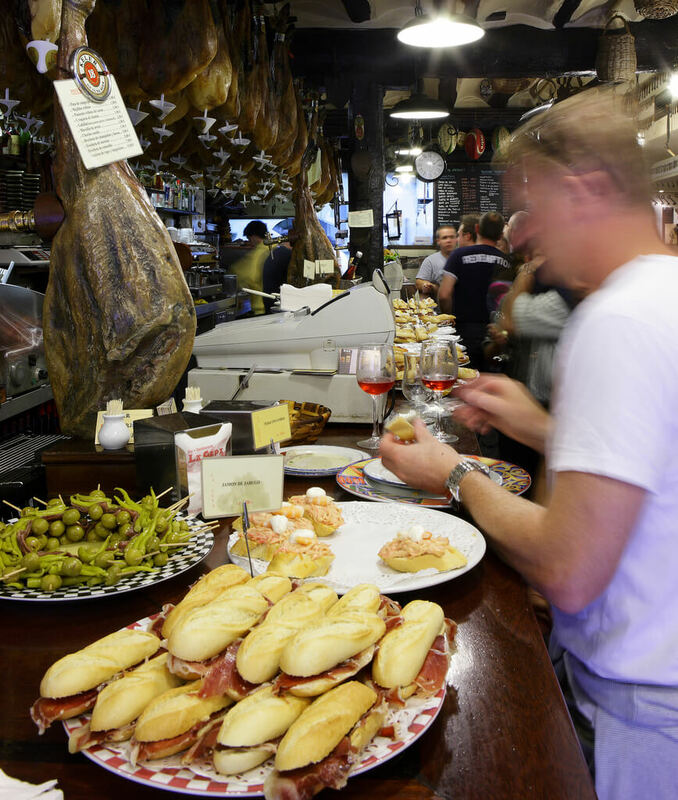 Check out what happens on a tapas tours here. Remember it’s not all about tapas – although they do look so pretty and taste so good. You won’t get to taste all the best of Basque if you limit yourself to its small dishes. Book at table at one of the traditional taverns and if time permits and you have planned in advance at one of the Michelin-starred restaurants. 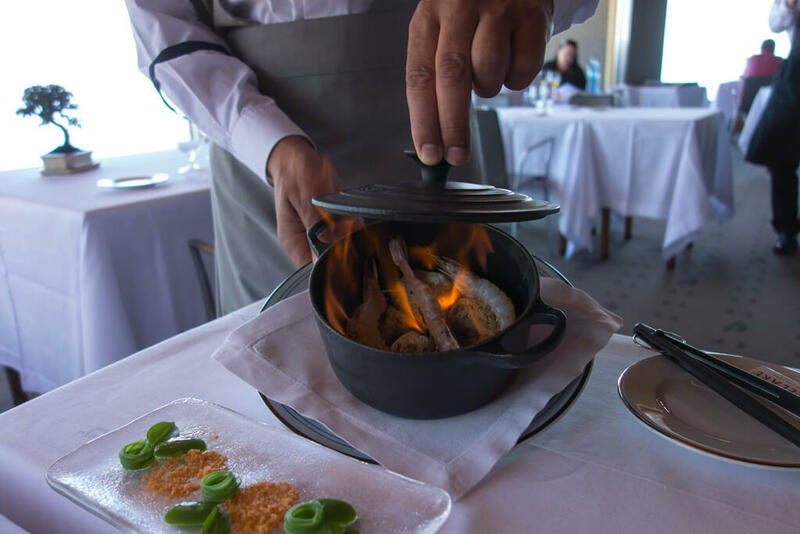 Order seafood as you are on the coast – preferably with an ‘x’ in it such as a platter of squid (txipiron) or hake cheek (kokotxas) – you’ll thank us for it! In advance of Europe’s City of Culture, the old fire station, Bomberos, was transformed into a stunning cultural space. And Tabakalera – the old tobacco plant – was also refitted to become a new arts centre. And check out Moneo’s Kursaal building too. If you’re more into belle-epoque, visit the Maria Cristina hotel. Pop over for a drink and read about the history of the building, its royal connections and its fate during the Civil War. If you like your lines clean, you’ll enjoy the Rationalist Club Nautico. Fans of urban planning will get a kick out of the excellent promenade and the lovely squares such as Plaza de la Constitucion (Konstituzio) where you can sit back and relax. With four great beaches to choose from: La Concha, Ondarreta, Zurriola and the Island Beach – everybody has their own favourite. Why not visit all four and decide which one is the best for you? 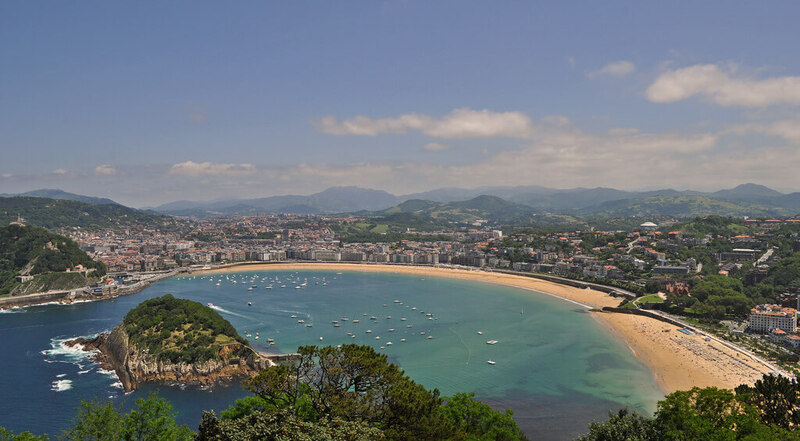 September is a busy month in San Sebastian in the water and out. 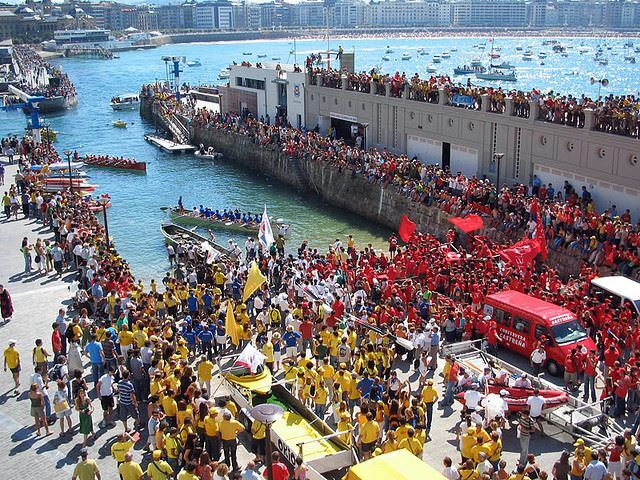 Since 1879, the ‘fixed seat rowing Olympics’ has been held in San Sebastian on the first two Sundays in September. The Bandera de la Concha is one of the best places to appreciate the skill and speed of the trainera or sardine-fishing boats in the North of Spain. Teams from the Basque Country, Cantabria and Galicia compete to take the title. Both men and women race – it’s hard to say which is more fearsome to watch. For more information see this website in Spanish. The San Sebastian International Film Festival takes place on the last week of September. 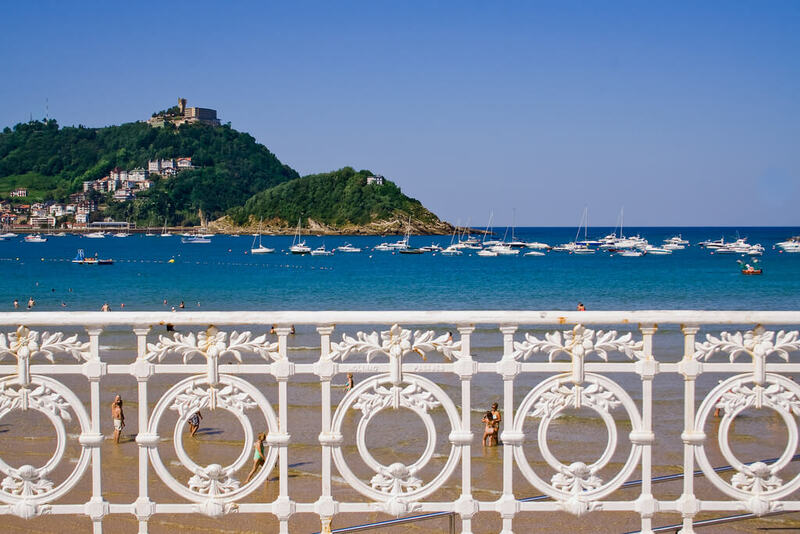 San Sebastian gets extremely busy at festival time and the hotel rates rise accordingly but it’s a unique opportunity to spot the stars in an amazing setting. In addition to the usual premieres, press conferences and glitzy events, since 2010 the festival runs a film and gastronomy section called Culinary Cinema that features seven foodie films. Each screening accompanied by themed dinners prepared by the best Basque chefs. What a brilliant idea! 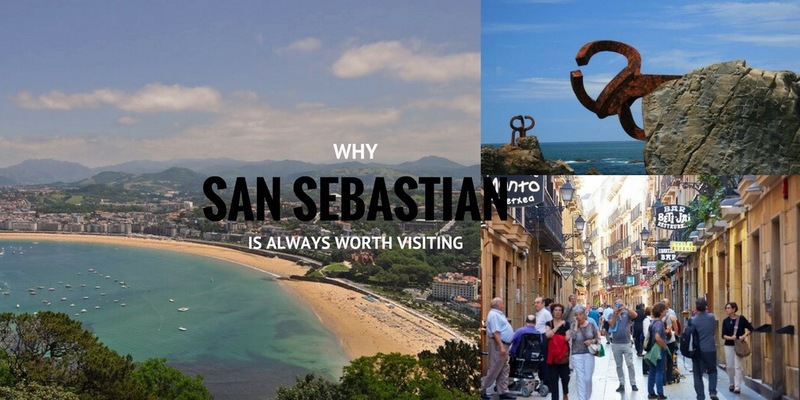 You can read about San Sebastian’s other festivals on its Tourist Office website. Book your accommodation early. Don’t expect to find affordable central hotels here last minute because you won’t. Even with our many great contacts in all the best hotels, we still have a tough time with availability at the last minute for the high season. Posted in Basque Country, Beaches, Festivals, Food & Drink, Green Spain, Popular Posts, San Sebastian and tagged #DSS2016, #TimeMachineSoup, Basque, belle epoque, Bomberos, Donostia, drums, Eduardo Chillida, European City of Culture 2016, foodie, Gaur Group, La Concha, Michelin-stars, Peine del Viento, pintxos, San Sebastian International Fil, San Telmo Museum, Tabakalera, tamborrada, tapas, Windcomb.